In its 49th Year the ASVC Committee are committed to going all out in 2014 to make this years show bigger and better than ever! 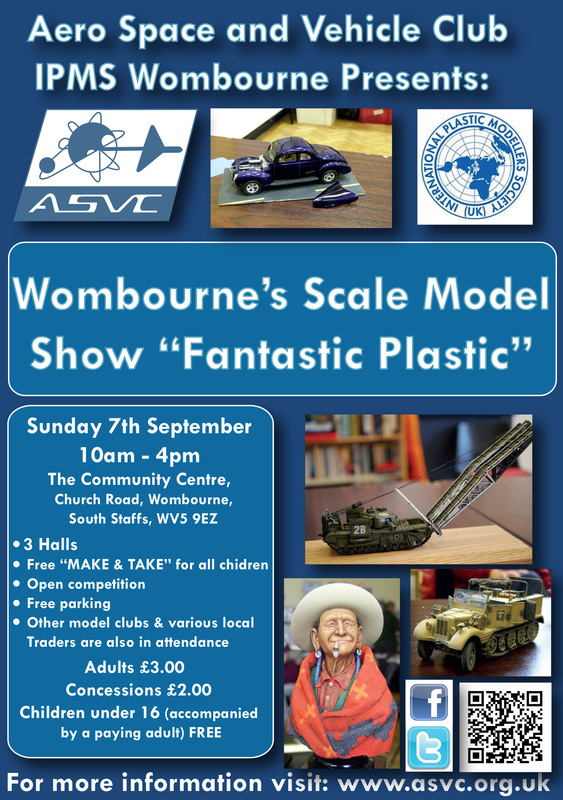 We are now progressing forward with plans to once again host Wombourne's Scale Model Show in the heart of Wombourne, The UK's Largest Village where we have been meeting ever since our first meeting on January 8th 1965! Without proof of eligibility, you will be asked to pay our standard admission fee. Wombourne is very close to the A449 and signposted well. Show signs will also be out on the day to help direct you in just in case! National Express West Midlands bus routes 255, 256, 255s and 256s all serve Wombourne.